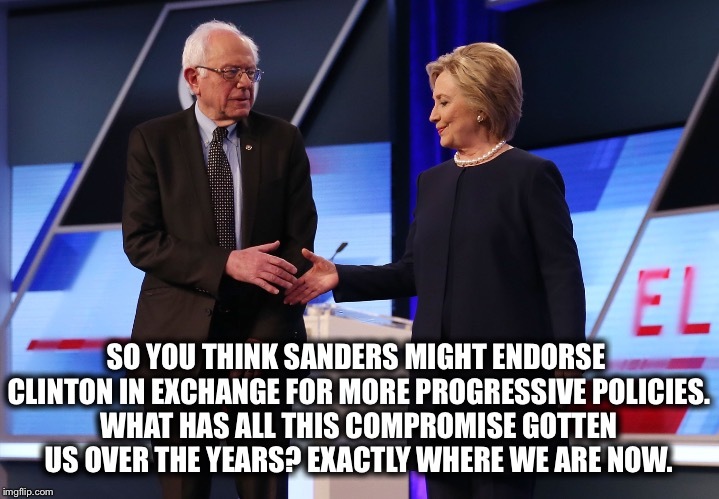 SO YOU THINK SANDERS MIGHT ENDORSE CLINTON IN EXCHANGE FOR MORE PROGRESSIVE POLICIES. WHAT HAS ALL THIS COMPROMISE GOTTEN US OVER THE YEARS? EXACTLY WHERE WE ARE NOW.